After reading law at Trinity Hall, Cambridge, Seb completed an LL.M. (by research) at the University of Bristol, investigating the impact of European Community law on the investment practices of institutional investors. Former contributing author to the Royal Institute of Chartered Surveyors’ ISurv platform (chapters on “Regulated Public Procurement in the UK”, and on the 2011 amendments to the JCT Intermediate contracts). “Professional negligence liability for the gratuitous performance of services”. Paper delivered to the Annual Conference of the Professional Negligence Lawyers Association (November 2016). “Forfeiture of fiduciary remuneration following breach of duty: from contract to conscience”  Lloyd's Maritime and Commercial Law Quarterly 95. Seb regularly advises and acts in relation to construction disputes, and routinely deals with disputes arising under the common-form contract suites (in particular JCT and NEC contracts). A large part of his practice concerns professional negligence in the construction and engineering context. In each of his practice areas he represents parties in arbitration, the High Court and the County Court. He also acts in adjudications under the 1996 Act and in the enforcement of adjudicator awards. Various construction claims relating to payment disputes, extensions of time and associated compensation claims, and disputed final accounts. Professional negligence claim against architect; assumption of responsibility in tort for design and project management services provided gratuitously. West 3 Mechanical Contractors Ltd v Mizen Design Build Ltd  All ER (D) 40 Defence of contractor’s claim for payment, centring on defective installation of gas installation pipework. Defects and tenants’ repair claim arising out of the development of 26 new-build properties. Appeal considering the extent to which the court has a discretion to make a final third party debt order, notwithstanding the fact that the judgment debtor has entered formal insolvency proceedings. Seb's Commercial practice focuses on professional negligence, insolvency and business entities (Company Law, LLPs and joint ventures). A significant proportion of the matters in which he acts raise questions of conflicts between international jurisdictions. In the field of professional negligence, his experience in the Commercial sphere extends to claims against lawyers, insurance brokers, finance professionals, and company directors. He is frequently instructed in claims arising from the misconduct of litigation and conveyancing transactions. He also prosecutes and defends claims for breach of directors’ duties, including derivative claims under the Companies Act 2006. In each of his practice areas he represents parties in arbitration, the High Court and the County Court. The discretion to make directions under s.1032 of the Companies Act 2006, including provision back-dating the deemed date of presentation of a winding up petition. Damages for economic duress / tort of intimidation, arising out of the execution of a shareholders’ agreement. Liquidator’s preference claim considering director’s duty of fairness between creditors, in repaying loans. Breach of solicitation covenant in director’s employment contract, and in a share buy-out agreement. Defence of claim for agent’s fees, based on agent’s conflict of interest. Professional negligence claim in relation to the conduct of litigation. Extent of a fiduciary’s disentitlement to remuneration following breach of duty. Seb acts in contentious insolvency, both corporate and personal. In each, he may be instructed at all stages of the insolvency process, from disputed petitions and restraining winding up, administering the insolvency and asset recovery, and termination of the insolvency process. He also advises and acts in relation to directors’ disqualification proceedings. A number of his previous cases have been reported. Removal of liquidators / administrators. Green (as liquidator of Al Fayhaa Mass Media Limited) v. El-Tai  BPIR 24 (Ch) Liquidator’s preference claim considering director’s duty of fairness between creditors, in repaying loans. Seb’s practice centres on professional negligence in the Commercial and Construction sectors. In 2017 he appeared in the Court of Appeal in a landmark decision relating to duties of care in respect of professional advice and services provided gratuitously. He is regularly instructed to advise and represent parties in the High Court, the County Court and (where available) in arbitrations relating to professional negligence. He also regularly lectures on the topic. Resisting an application to permit an action to proceed as a derivative action against an AIM-listed public company. Acting for the employers in a redevelopment of luxury residential property in Notting Hill, claiming against their construction project manager and an insurance broker for advising negligently on the terms of the construction contract and project insurance. Acting for the employers in a refurbishment of a heritage-status 18th century church, claiming against their architect and project manager for the negligent performance of supervision services. Acting for the employers in a claim against structural engineers, arising out of defective footings of a commercial development in Brighton. Acting for a homeowner in a claim against structural engineers following the collapse of a house during basement excavation works. To read Seb Oram's analysis, please click on the link below. Commercial update: Professional negligence - Seb Oram revisits conveyancers' scope of duty. The Supreme Court has recently heard a challenge to the SAAMCO 'scope of duty' principle, in the context of a professional negligence claim against conveyancers. Seb Oram analyses the recent, landmark decision in BPE Solicitors v. Hughes-Holland  UKSC 21 (SC) that considers how the scope of duty principle applies. Seb's Property and Estates practice focuses on disputes about land, and landlord and tenant. A substantial part of his practice relates to disputes about property ownership, and defects in land registration. In the landlord and tenant context he is regularly instructed in disrepair claims, particularly those involving expert, technical evidence. He is a member of the Chancery Bar Association. 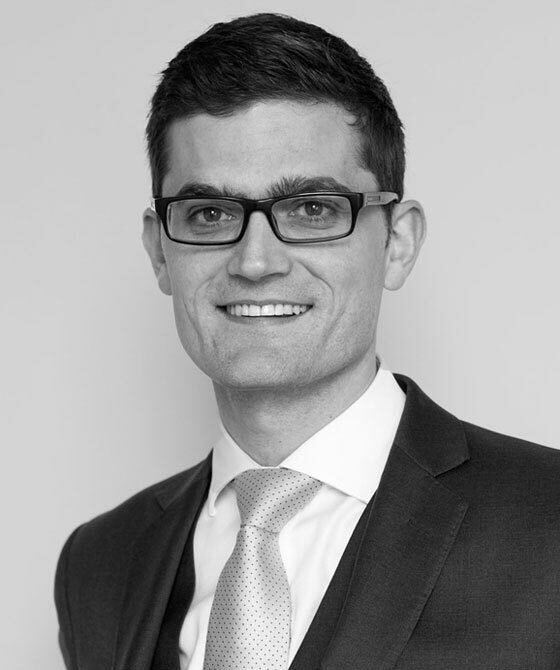 Seb has considerable experience of advocacy in the Property Chamber of the First Tier Tribunal, the High Court and County Courts, and has been instructed in the Court of Appeal. Resisting application to discharge restrictive covenants in a long lease, raising a point of principle as to the effect of a landlord’s conduct in granting subsequent leases in different form. Experienced junior focusing on professional negligence claims against construction professionals, among others. He has experience litigating in the Court of Appeal as well as the TCC. "He very quickly inspires confidence in the client and is a measured but very effective negotiator." Recent work: Acted before the Court of Appeal in a claim arising out of the design, tendering and supervision of the structural relandscaping of a terraced garden, and considering whether a professional could be held liable for services provided gratuitously. Strengths: "You can bombard him with information and he sees straight through everything that needs to be swept aside. He gets to the crux of the issue. He is also a very effective communicator."